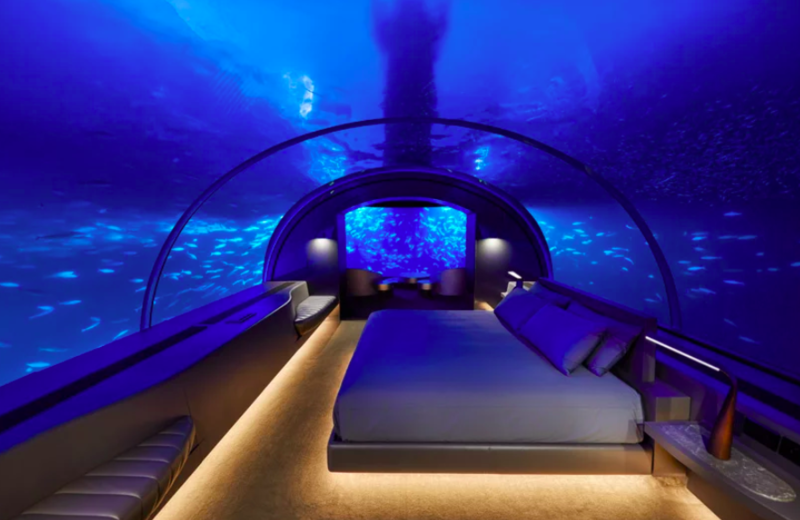 Sleep sixteen feet below the surface of the ocean at the new Conrad Muraka villa in the Maldives, nestled into bed with panoramic views of marine creatures to color your dreams. 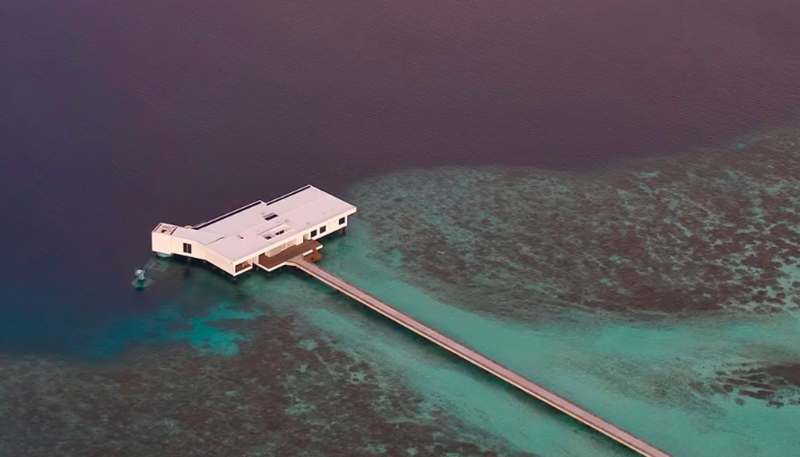 Officially the world’s first underwater hotel residence, the two-story Muraka villa is now open for booking at the same Rangali Island resort hosting the world’s first underwater restaurant, the five-star Ithaa. 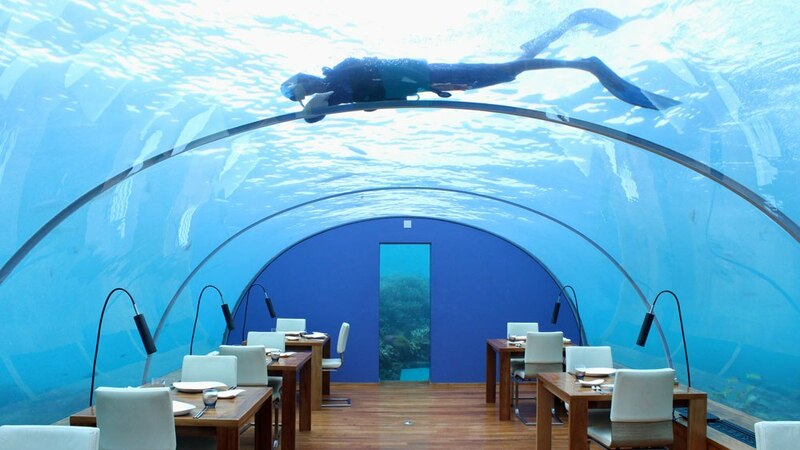 Of course, there is a catch, and it’s not the hyper-fresh seafood brought in each day for guests to enjoy. 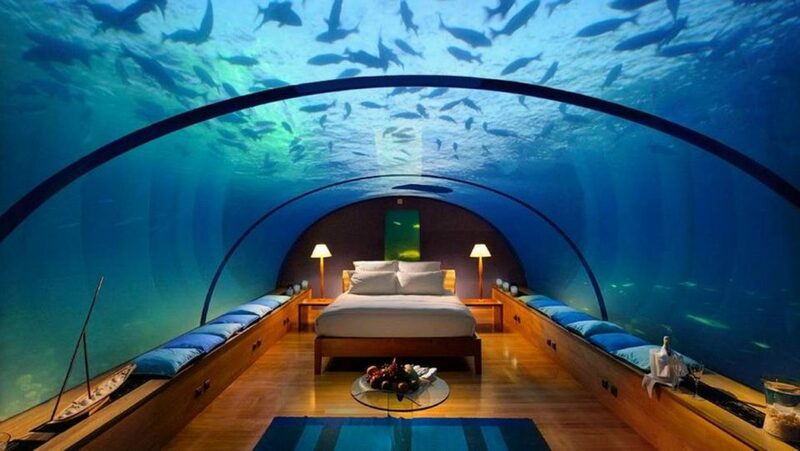 The suite is only accessible via a four-night $200,000 package. 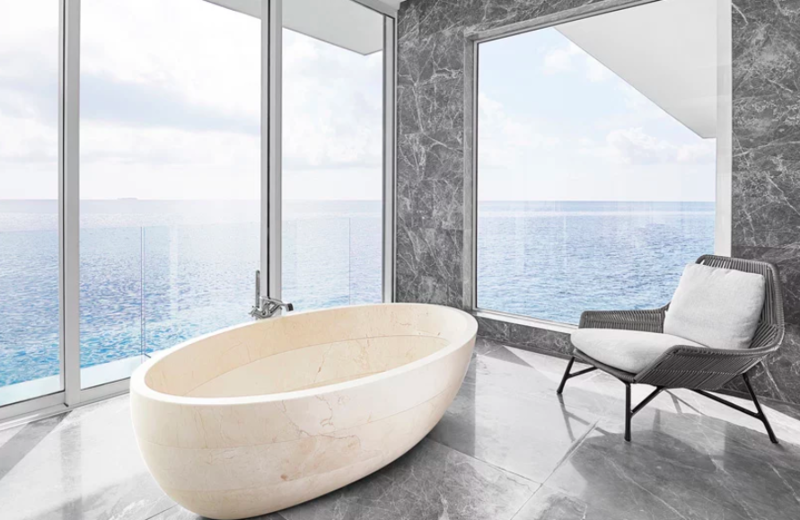 Connected to the rest of the resort by jetty, the Muraka features not only an underwater bedroom and bathroom but also a private gym, bar, infinity pool, an ocean-facing bathtub, a relaxation deck, additional above-water bedrooms and butler’s quarters. The price tag includes three meals a day prepared by a personal chef on the premises, and use of a private boat. 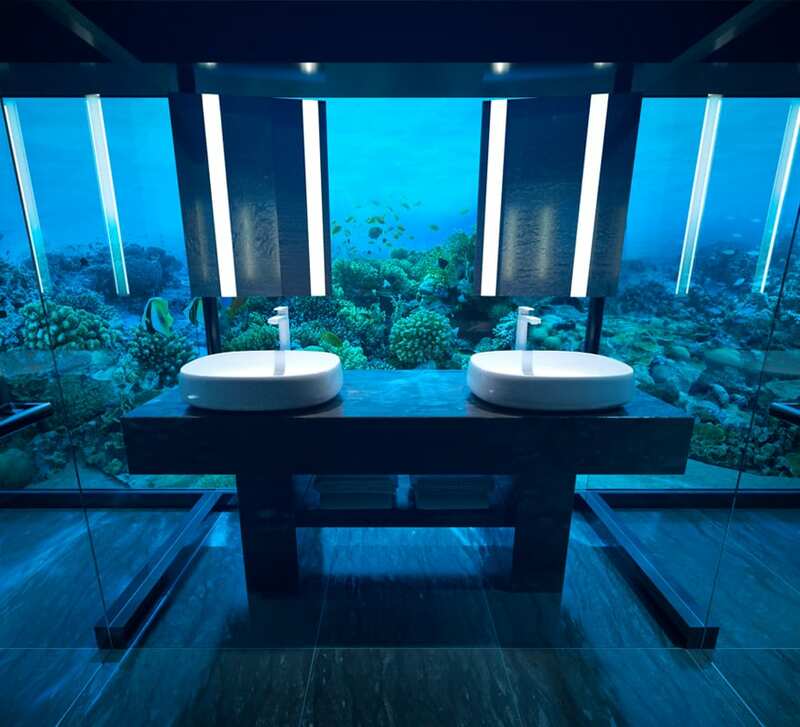 It takes its name from the word “coral” in the local Dhivehi language, and cost a reported $15 million to build. All of its components, including the 600-ton ultra-fortified lower level, were built in Singapore and transported to the site to avoid damaging the delicate ecosystem (which is, by the way, severely threatened by the effects of climate change, to say the least.) 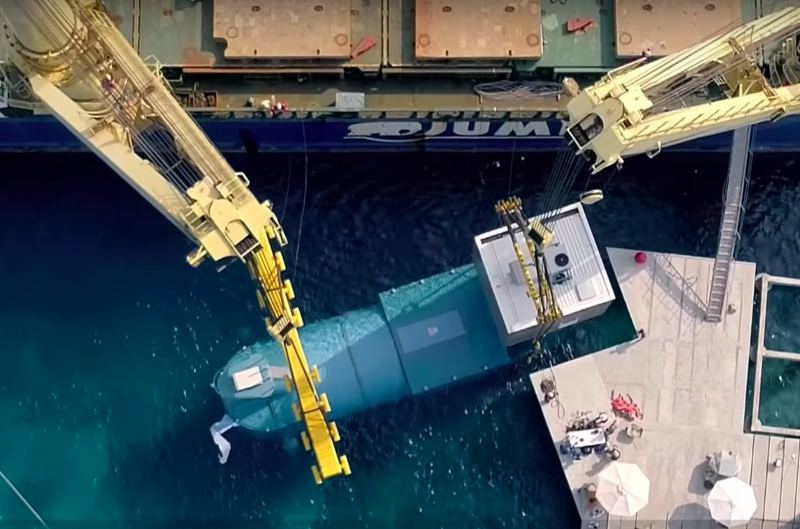 A Conrad Resorts video gives us a peek into the process of building and assembling the villa, which sleeps nine guests in total. 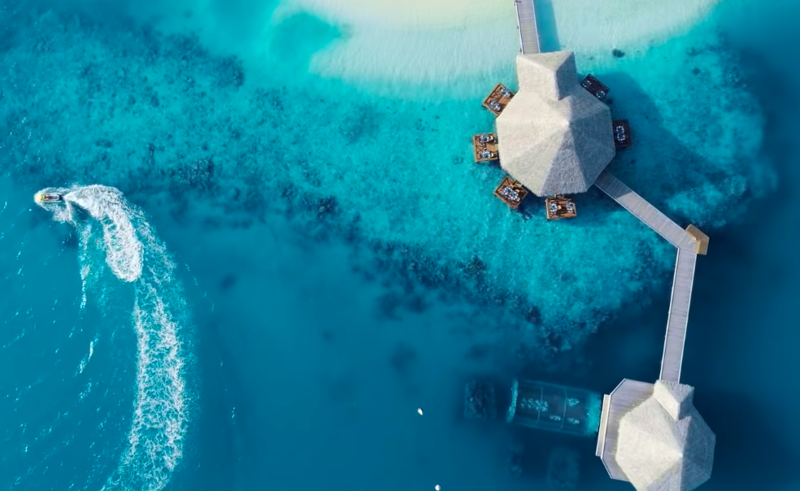 With four different itineraries tailored to traveler’s preferences, including “The Wanderers” for those seeking local culture, “The Flavors” for culinary delights, “The Soul” for wellness and “The Thrill” for adventure, the Muraka is a fantasy getaway for billionaires and celebrities, as visually dazzling as it is bittersweet, especially since the Maldives’ famous coral reefs are steadily degrading.